My mom made pear pies every summer and froze them. It was always a joy to bake one of these in the middle of February when the snow was deep and it was really cold outside. This is still one of my dad’s absolute favourite things. Serve warm with really good quality vanilla ice cream. Sprinkle lemon juice over prepared pears. Combine remaining filling ingredients except butter and stir. Gently fold in pear slices. Arrange filling in pastry lined pie plate. Cut butter into small bits and sprinkle over pie filling. 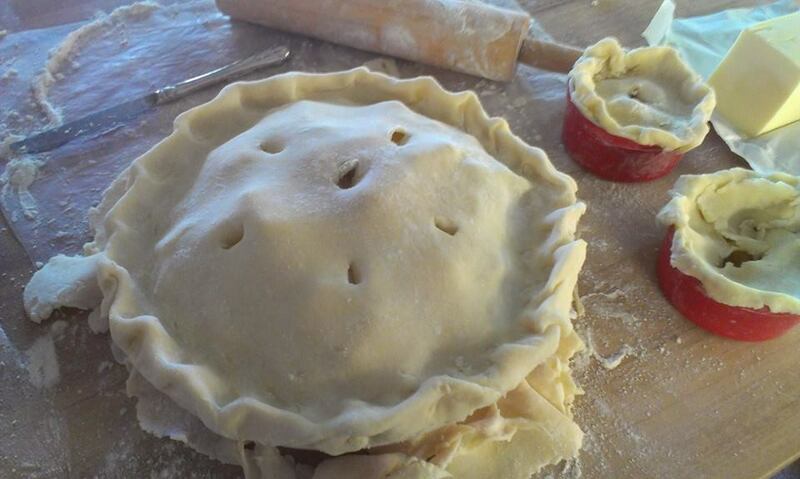 Top with pastry and cut vent holes into the top of the pie. Bake at 425 degrees for 15 minutes and then reduce the heat to 350 and bake for an addional 30 minutes or until pie is golden and bubbling.